In this multichannel world, it’s important to make sure your customers understand how important they are. 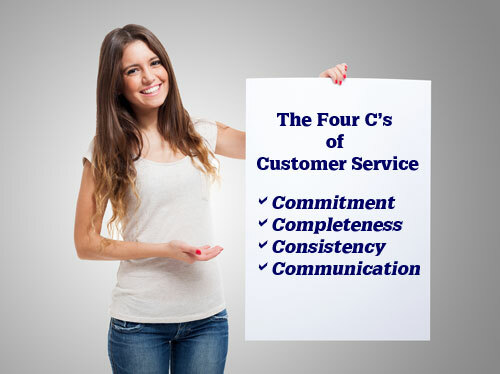 Four words always come to mind regarding customer service. Each one plays an important role in creating a memorable customer experience. Commitment – In order to give great customer service, there must be Commitment from an organization’s leadership. Commitment must be visible through action. It’s easy to place posters and signs upon the wall, but that’s not the action of which I’m speaking. Leaders should show commitment by leading the charge to determine what great customer service should look like within the organization. Leaders should develop and adhere to core values for the organization. Leaders should commit to finding ways to determine what’s important to the organization’s customers. Leaders should become the customer by utilizing the organization’s product or service in order to get the customer’s perspective. The commitment level of leadership should be readily apparent to employees. Leaders should regularly communicate their commitment with the entire organization. Commitment requires action! Commitment is long-term as the organization’s long-term existence is at stake. Completeness – Following the leadership commitment to providing great customer service is the second C representing Completeness. Once the commitment is in place, the need to ensure that everyone within the organization is on the same page is paramount to the organization’s success. Completeness means that everyone within every department understands their role in providing great customer service. A complete and thorough assessment of the organization’s operations is key to identifying areas of opportunity. All customer touch points should be evaluated for efficiency. Completeness means insuring that what matters to the customer is identified and utilized in developing the organization’s product or service concept. Completeness means identifying one’s internal customers in order to determine how to meet their needs as well. All areas of the organization must be aware of how their everyday actions impact both internal and external customers. Completely commit to providing great customer service! Consistency – After leadership exercises commitment and the entire organization is completely on the same page regarding the provision of great customer service, the third C of Consistency enters the picture. This C is crucial to the long-term success of the organization. The ability to consistently provide a great customer service experience is what builds brand loyalty. Loyal customers are revenue generators as they are both comfortable and excited to share their positive customer service experiences with others. Consistency means the customer receives the same level of service during each encounter with your organization. Consistency means that no matter which of your organization’s locations the customer visits, a positive experience awaits. When calling your organization, it doesn’t matter which employee takes the call, the organization will strive to consistently provide a great customer service experience. When interacting with your company online, the customer is provided an easy and efficient experience. When issues arise, the organization will look to consistently resolve them in a timely manner. 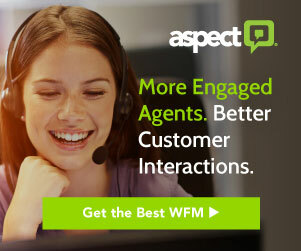 When an organization can consistently provide a great customer service experience, it won’t be long before the word-of-mouth effect takes over. New customers will appear as a result of the organization’s ability to be consistent. Communication – The glue that holds all of this together is the fourth C – Communication. Now this particular C requires that the commitment to providing great customer service is constantly communicated. It means that the organization’s employees are kept abreast of how well the organization is performing in its quest to meet the needs of the customer. This C means that the employees are given the means to communicate the customer’s perception of the organization to the leaders. The leaders are to communicate how employee ideas for improvement are contributing to the success of the organization. It means that customers are able to initiate communication with the organization regarding their personal experiences with the product or services. This fourth C requires the organization’s leaders to communicate customer needs and preferences to the rest of the organization to ensure that all products and services are designed with the end-user in mind. 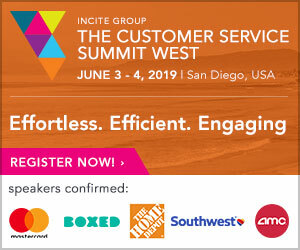 In this era of multichannel customer service provision, it’s important to make sure that your customers understand how important they are to your organization. Make sure they are able to see, hear and feel what they mean to your organization by establishing Commitment, followed by Completeness of purpose, exhibiting Consistency during all customer interactions and applying the glue called Communication! Errol Allen has held positions as an Internal Customer Service Consultant, Call Center Quality Manager and Operations Analyst and understands the need for a “systems” orientation to providing excellent customer service. Errol has also designed customer service training programs for the “front line” associate to ensure employee confidence when interacting with customers. Customer Service or Customers Serve Us?